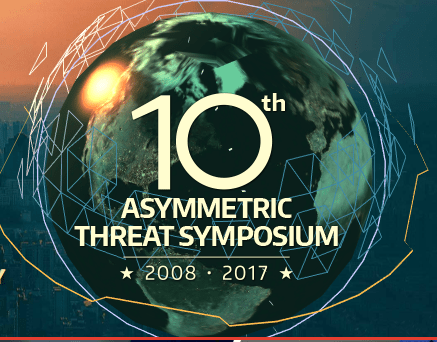 Last week I was privileged to attend the 10th Asymmetric Threat Symposium. It’s not the first of these I’ve attended but was clearly the best. Maybe the participants felt less restrained by politics and thus spoke more directly to the issues we truly face. Or maybe the quality of experts is rising. For whatever reason, the event was candid and sobering, even for me. The event was held near our nation’s capitol and was sponsored by CACI International, the Center for Security Policy, and ISW (Institute for the Study of War). The title: What Does It Take to Protect America? Combatting Global Asymmetric Threats. While the rules of the event require that comments be shared without attribution, I’m pleased to offer a recap for our readers. You can read the agenda and see information about prior versions at www.asymmetricthreat.net. The speakers and panelists were impressive. In fact, I counted 36 stars on the shoulders (Admirals and Generals) of about a dozen participants, both active and retired, not to mention academic and civilian experts. First, the question was asked and answered. Are we already at war? In a word, “Yes.” World War 3 has started but it is not the type that is declared. In fact, we were told (and you already knew) that this is a cyber-economic war. Over and over we heard why “It’s the economy (stupid).” And virtually all the panelists and speakers covered the main points we have been sharing in the Blog and our books. The topics included energy warfare, hacking, quantum computing, drones, hijacking the IT supply chain, threatening financial markets, and attacks on currency. Threats come from the big four (Russia, China, Iran, North Korea) as well as non-state actors and terror groups. There was even candid discussion of threats (by participants and/or attendees) from presumed allies such as Saudi Arabia, Turkey, Qatar and possible emergence of threats in Africa and South America. We were also told that the problem we are facing is not a “messaging” problem but rather a reality problem. After all, how can we win if we never admit the bad guys are the bad guys? This was a refreshing change from other conferences where participants do verbal gymnastics to avoid calling out a real threat to appease political masters and political correctness. We were also told that we cannot simply “kill our way out of this.” So far more than 70,000 have been killed in this so-called “war on terror.” And yet the approach we’ve taken has done little more than “keep the grass mowed,” so to speak. More “combatants” keep popping up. The reason? We have failed to articulate a defense of Western Civilization as we know it. We pretend that all cultures are equal and in doing so have empowered our enemies. Worse still, we apply such ridiculous double standards so that the American way is seen as inferior under any circumstances. Yet, objectively the opposite is clearly true. Did we have discussions during World War II regarding whether “Nazism” deserved respect? Of course not. The next major point that was made was that even though we may have an awesome “away game,” we are being forced to fight a “home game” as well. What this means is that our fight will no longer be confined to wars across oceans. Just as terrorism has come regularly to Europe, it is increasing in America. Tonight’s sad headlines from New York demonstrate just how true this is already. As we’ve noted, the war we are fighting is more than just trucks and bombs, or even missiles. Tonight’s terror announcement with at least eight dead and more than a dozen injured is terrible. So was the Las Vegas shooting, the Boston Marathon bombing, Fort Hood, and all of the other kinetic terror attacks. The hack of Equifax and dozens of government agencies are also a serious threat. Just because there weren’t immediate casualties does not mean that the compromise of sensitive information will be painless. In fact, a hacker that takes control of our critical infrastructure could cause tremendous damage. Imagine if a nuclear power plant was forced into meltdown. What if key figures in our government were compromised (as Anna Chapman and the Russian spies were supposedly very close to achieving)? While I was in DC last week at the Asymmetric Threat Symposium, we learned that the Russians were apparently at it again, this time attempting to compromise CyCon, one of America’s preeminent Cyber Conferences. Imagine what could be compromised by hacking those in National Security most interested in cyber defense (more on this at a future blog). One of the most important bottom line truths from the Symposium was a recognition that the economy leads everything. Unless we grow our economy, we will lose in 10 years or less. Our enemies know this and thus have targeted our economy and infrastructure. The truth is that if we have to cut our Federal budget, defense spending will get hit the worst. We were told that we currently have the “smallest, oldest, and least-ready” Air Force in history. Let that sink in. And then realize that there is a similar truth regarding the Navy and our ground-force capabilities. Other nations are catching up and in some areas surpassing our military capabilities. We have all seen the graphs that attempt to prove that our defense spending is greater than the entire rest of the world combined. Yet the reality is not so simple. A good deal of our defense spending actually is on behalf of other nations that we defend. Another portion is segmented for paper pushing and bureaucratic inefficiencies that earn billions for the defense consulting industry. Some is used for politically correct social experimentation. And what’s left isn’t optimally allocated. We build huge weapons systems that are sometimes outdated, more prepared for the last battlefield than the next. Unless we grow our economy, we will lose this war in this generation. Some areas where we must invest right away to keep up include drones, Artificial Intelligence (AI), and Quantum Computing. We saw one video of drone races, some of which are sponsored in part by the Air Force. This was a truly amazing visual to behold. It also demonstrated one glimpse into the future of warfare. On the final panel hosted by my friend Frank Gaffney (founder, President and CEO of the Center for Security Policy), there was a question about new and emerging threats. I was grateful that both he and the moderator discussed broader aspects of Economic Warfare and even cited some of our work. The good news is that it wasn’t unfamiliar to the broad cross-section of National Security leadership in the room. FINAL POINT: WE CAN (and MUST) WIN THIS WAR. It will take a national effort and requires honest assessment. Fortunately, it appears that many of our top National Security leaders finally are beginning to understand this reality. This entry was posted in Axis Powers, China, Cyberwarfare, Economic Warfare, Espionage, Iran, Middle East, Military, National Security & Terrorism, North Korea, Saudi Arabia, Soviet Union, Turkey, USA, War and tagged 10th Asymmetric Threat Symposium, AI, artificial intelligence, Boston Marathon bombing, CACI International, Center for Security Policy, China, Currencies, cyber-economic war, cyberwarfare, CyCon, drones, economic warfare, energy warfare, Equifax, financial markets, Fort Hood, Frank Gaffney, hackers, hacking, Institute for the Study of War, Iran, ISW, IT supply chain, Las Vegas shooting, National Security & Terrorism, non-state actors, North Korea, politics, Qatar, quantum computing, russia, saudi arabia, terror groups, The Home Game Has Arrived: Lessons from the 10th Asymmetric Threat Symposium, Turkey, U.S. Air Force, War, What Does It Take to Protect America? 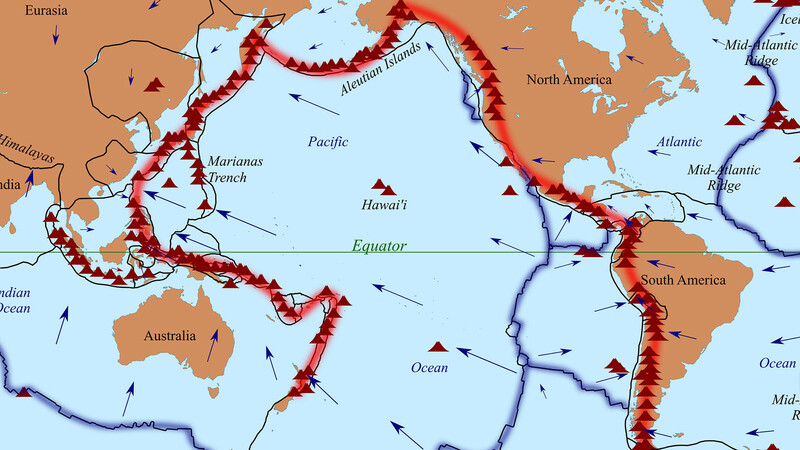 Combatting Global Asymmetric Threats, World War III, WW3. Bookmark the permalink.